Whether you are applying for planning permission directly yourself or through an agent, the process can be quite difficult and frustrating for many. 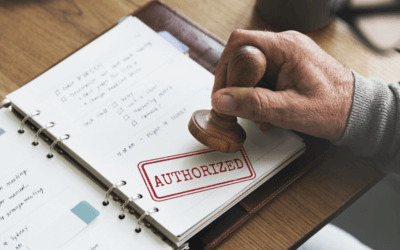 A recent survey by home improvement experts at Everest reveals that 34% amount of people who have recently applied for planning permission, found the process to get started pretty tough. 32% waited at least three months before their application was approved and 25% of those denied, applied three or more times. However, is it really that hard to get the project started and what can you do to ensure your application gets accepted first-time round? It’s now easier than ever to get planning permission in England – 88% are approved. When looking at historical government data, it is evident that planning permission applications are being accepted now more than ever. In the year ending September 2017, authorities received 476,300 planning applications across Britain of which 434,300 were approved. That’s a huge 88% of planning applications approved up from 82% in the last 10 years. But where is the easiest to get planning permission and which location struggles the most? Everest have gathered geographical data by DCLG to reveal the 10 areas most likely to accept or decline minor planning permissions (up to one hectare in size). City of London – 99%, Wigan – 98%, Exmoor National Park – 97%, Copeland – 97%, Hartlepool – 96%, Rushmoor – 96%, Plymouth – 96%, Sefton – 95%, Middlesbrough – 95% and The Broads Authority – 95%. Harrow – 54%, Enfield – 60%, Newham – 61%, Havering – 61%, Hillingdon – 61%, Luton – 62%, Redbridge – 63%, Southend-on-Sea – 63%, Kingston upon Thames – 64%, Maldon – 64%. Despite the fact that just 12% of planning applications were turned down in the last year, that’s still 33,000 people across England struggling to get their home improvement plans started. But why were they denied and how can you ensure you get yours approved first-time? The recent survey by the home improvement experts reveals that overlooking/loss of privacy are the main grounds for denial. A huge 42% said this was a struggle they faced with more than 1 in 3 (25%) experiencing unsupportive neighbours. However, other reasons for denial include overshadowing/causing loss of light (25%) or disruptions to parking (16%). Despite this, 65% of participants said their neighbours accepted their home improvement plans proving community support still exists. For those unsure whether they need planning permission or looking for tips, Everest have created an at-a-glance guide to common renovation projects to help those get approved first time. The National Homebuilding & Renovating Show returns! Claim your free tickets with BUILD Magazine!